How much does it cost to travel to the Netherlands? How much money will you need in the Netherlands? €121 ($136) is the average daily price for traveling in the Netherlands. The average price of food for one day is €30 ($34). The average price of a hotel for a couple is €134 ($151). Additional pricing is in the table below. These average travel prices have been collected from other travelers to help you plan your own travel budget. How expensive is the Netherlands? How much money do I need for the Netherlands? The Netherlands is an incredibly welcoming, beautiful, and open minded country, making it appealing to travelers from all over the world. It is a small, but very densely packed country, and has held tight to many traditions including it's fascination with flowers, clogs, and windmills. It's also well known for its use of bicycles. In large cities and throughout the countryside you'll find everybody travels by bicycle. This adds to the charm and quaintness of the country. Many people visit Amsterdam, the country's most popular destination, during a whirlwind tour of Europe. If you have more time there are many other cities and towns worth a visit during your time in this fascinating country. The Netherlands has a strong history as a leading naval power. It's position on the water has strategically influenced its past and evidence can still be seen today. 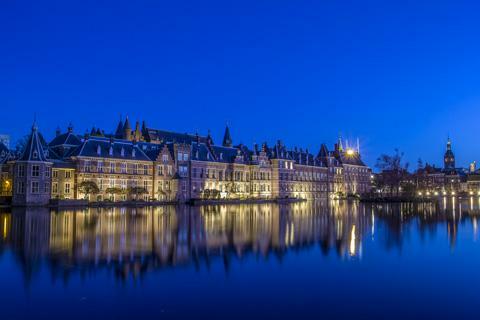 The Netherlands has a unique cultural history and is a founding member of the European Union. It is a very low lying country, and it's most famous city, Amsterdam, makes use of its ties to the ocean by integrating beautiful canals that crisscross the city. The Netherlands is traditionally liberal in character and is well known for its "red light districts" and lenient stance on drugs. Do make note that recent changes in laws have allowed for stricter enforcement of violators. Make sure you use common sense during your time here. The country's progressive character has also put the Netherlands at the front line of the environmental movement. It's has very liberal policies and is an important influence throughout Europe. It is also one of the more expensive countries to visit in Europe. Particularly in Amsterdam, you'll find restaurants to be very expensive and hotels higher than in most larger cities. To cut down on costs consider buying food at a market and enjoying a picnic beside a canal. Also make sure you make hotel reservations well in advance as price generally go up as the date approaches. Although it's definitely an expensive destination, this country's unique character make it well worth the splurge. Amsterdam Canal Ring: The canals in Amsterdam are some of the most famous in the world and give the city much of its character. They're lined with houseboats and townhouses that lean precariously do to the shifting ground. It's probably the most visited an photographed part of the Netherlands and is well worth a visit. Rijksmuseum: This is the largest museum in the Netherlands and is located in Amsterdam. It has artwork, crafts, and dollhouses on display and has devoted much of its space to the area's history. There is also a very thorough area on Asian art and history in the museum. Aalsmeer Flower Auction: In the heart of Holland's floral trade, here you can see the frenzy that surrounds buying and selling Dutch flowers. Auctions take place daily but are at their peak on holidays such as Mother's Day and Valentine's Day. Kibbeling: Once a delicacy, this dish is now available everywhere. It's made from battered and fried fish and is typically served as a fast food dish. It comes with a dipping sauce that is very similar to tarter sauce. Waterzooi: This is a traditional stew made with beef, onions and gravy that takes several hours to prepare. it was originally prepared with fish but today's version most often uses either beef or chicken and is made with creams, eggs and other vegetables. Bossche Bol: This is a large desert pastry filled with whipped cream and covered in dark chocolate. It's often served as a side that is paired with coffee. An interesting point about buying train tickets in the Netherlands is that you cannot buy cheaper tickets in advance. Ticket prices are set, and they remain the same. Each prices is dependent on distance. You can purchase a ticket without a set date in advance, but these tickets must be validated when you arrive at the platform. There's a small yellow box where you can validate them on the train platform. This is for convenience and doesn't save you any money.